Aaron Mattes continues to refine his thinking and hone his work. Active Isolated Stretching and Strengthening (AIS) – The Mattes Method – is a program for everyone! Over forty years ago, Aaron Mattes began to develop exercise protocols to increase flexibility and strengthen specific muscle groups. His combined flexibility and strength training – AIS – employs physiologically principled exercises that that are systemic, progressive, and unsurpassed in effectiveness when delivered in an instructive and positively reinforcing environment. Together they comprise a complete package for everyday wellness, sports training or rehabilitation. The Mattes Method employs full range of motion movements to contract and strengthen targeted muscles while at the same time stretch the opposing (antagonist) muscles. This simultaneous strength and flexibility training develops potency in the newly-established range of motion, making it functional and safe, while balancing soft tissue tone across the joint. Mattes exercises promote range of motion, restore or develop brain-muscle connectivity, and increase muscle strength, as well as that of all other soft tissues, including fascia, tendons and ligaments. In fact, as a strength exercise, AIS promotes healthy bones. I have known Aaron Mattes for more than twenty-five years. He has been my mentor, colleague, and friend. I believe in his work and the effectiveness of its results. I became a physician with Aaron’s encouragement, knowing that I would have AIS, one of the most effective therapeutic tools ever developed, in my toolbox. It has been my dream to bring AIS to the medical setting. 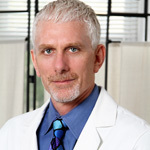 In my clinic, QuistMD-The Flexibility, Sports, and Rehabilitation Clinic in Washington, DC, I use AIS with my patients to treat a range of musculoskeletal conditions – from multiple sclerosis to scoliosis, from carpal tunnel syndrome to lower back problems – to relieve pain and facilitate the healing process. I’ve been impressed with the effectiveness of AIS for neuromuscularskeletal re-conditioning to bring about movement in limbs and digits damaged by stroke. I use it with my hyper mobility patients, to strengthen areas that are strained from compensation patterns. *in some cases, conditions have improved to the point of making surgery unnecessary. I also treat lots of athletes, as does Aaron, who wants to prevent or recover from an injury, or who wants to enhance their performance. We have rowers, runners, soccer and lacrosse players, cyclists, pitchers, and tri-athletes. As an athlete myself, I know how important AIS is for me, before and after training and events. But AIS can do even more! AIS is an approach to the body, which, when employed with adjunctive methods to address specific issues, can offer a complete approach to health and well-being – the AIS approach. Aaron Mattes is moving AIS forward. Having long dreamed of a national certification program for AIS practitioners. Aaron has delegated the necessary tasks for its development. The program will create a professional path for AIS practitioners, with a standardized education and training program, leading to multiple levels of practitioner certification. Aaron also supports efforts to conduct much-needed research, to build the evidence base for AIS. One of the most important research imperatives is demonstrating the efficacy of the two-second hold. My clinic has undertaken a promising, but small, pilot, study, but much more data is needed, accompanied by the necessary resources to conduct large-scale trials. In addition, I have begun a formal clinical research study to determine the effectiveness of using AIS in combination with manual therapies to treat cervical strain and sprain in the rehabilitation setting. Because effective stretching is the foundation of flexibility training, defining it may change the way we develop flexibility programs. AIS is growing and I’m excited to be part of the next generation of leadership! I hope all of you who read this book and learn Aaron’s craft will dedicate your practice of it to his experience, knowledge and foresight these many years ago. It is my belief that AIS can and will change medicine.